Smoothies are one of the quickest, easiest, and delicious ways to get your fill of nutrients and stay energized throughout the day. However, the thought of making a smoothie in the morning can be stressful, and sometimes your spontaneous concoction will end up looking and tasting like unidentified mush. If you follow a few basic guidelines, you’ll be making superfood smoothies like a pro in no time. But it’s important to remember that it’s a smoothie, not a science, so there’s plenty of room for creativity. Base: Think thick and creamy. Banana, avocado, mango, coconut meat, yogurt. Bananas make one of the best smoothie bases out there, and I would highly recommend slicing and freezing the bananas as it gives the same thickness without the slime and sometimes overwhelming flavor. Flavor: Think strawberry, blueberry, date, mint, ginger root, lemon juice, agave or any other healthy addition that you think would make your smoothie more enjoyable. Liquid: keep it simple, and let the flavors of the fruits and other boosters take control. Try using almond milk, coconut milk, coconut water, cranberry juice, or just plain water. Super foods: pack an extra punch in your drink. Add in some Chia seeds, my absolute favorite smoothie booster. Think healthy fats, high fiber, and calcium rich, thickening agent as well. Some other ideas include: spirulina, flax seeds, hemp seeds, acai or almond butter. Greens: not only are they amazing for your health, but walking around with that green colored smoothie will make you look super healthy and hip. 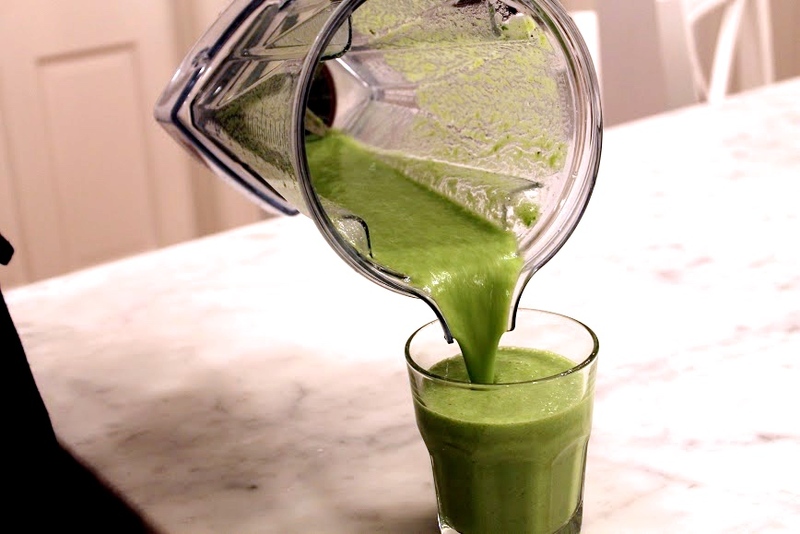 Spinach is one of the best greens; as it adds nutrients without changing the flavor of smoothie. Kale does have a bitter flavor to it, but is extremely nutrient dense and high in Vitamin A and K.
The thought of drinking vegetables can be a major turn off, but freezing the veggies makes them taste less nasty while still giving you the nutrients and that pretty green color. 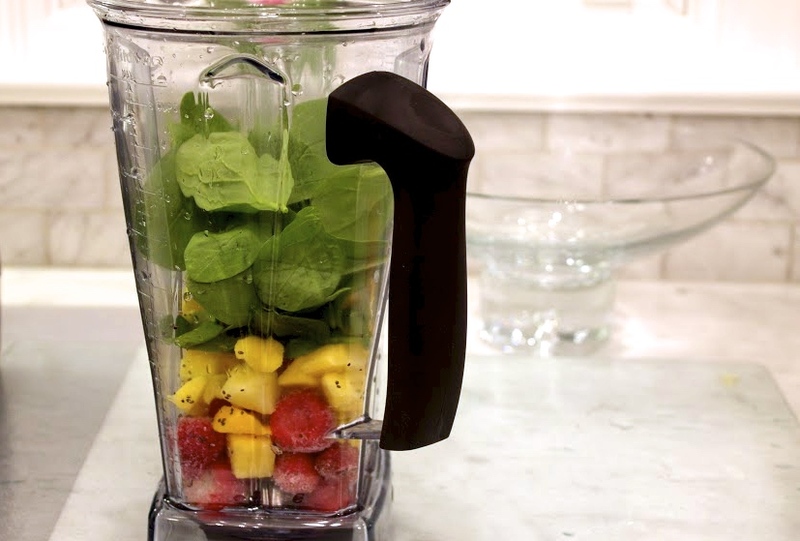 You are so close to making the perfect, healthy smoothie. Don’t mess it up by throwing in additives such as sugar, corn syrup, dairy (milk and ice cream), eggs, soy protein, whey protein, pudding or cake mixes. Remember you are blending together delicious natural fruits and vegetables, let’s not make it a homemade slushee or blizzard. Order is important. I suggest blending in this sequence for best results. Powders and super foods: add them after the ingredients but before the liquid to get the best boost possible When added first, they get caught between the blades, and adding them last clumps them together. 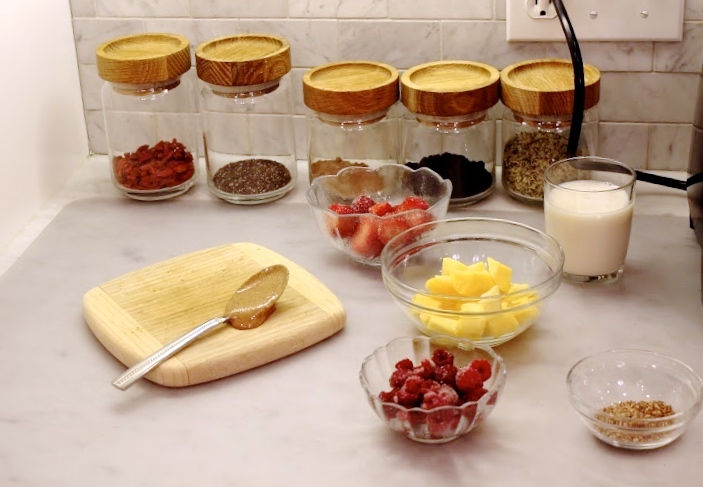 Following these simple smoothie guidelines will help you create that perfect combination without liquifying your creativity and taste preferences.